With an education in chemical engineering and a prior career at the U.S. Food and Drug Administration, Seth brings clients rare regulatory insight on food, medical device and drug matters. 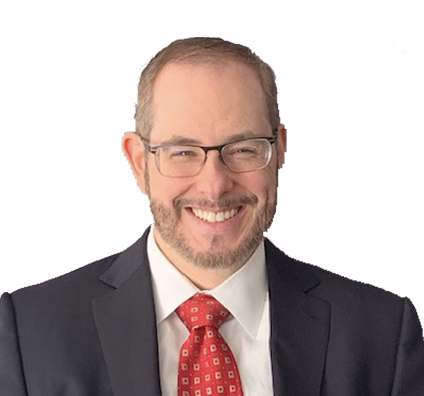 As Leader of the firm’s FDA group, Seth handles a broad array of matters involving FDA-regulated products and services including food, medical devices, pharmaceuticals, biotechnology, tobacco, radiation-emitting electronic products and cosmetics. He assists clients in premarket strategies, advises on postmarket compliance, handles enforcement matters – including those before the U.S. Department of Justice – and drafts and negotiates corporate transactions. Seth began his career as a chemical engineer for more than a decade at the FDA, conducting regulatory research, performing inspections of regulated industry and serving as a compliance officer, followed by nearly 15 years in private practice. Clients appreciate his multidisciplinary experience when faced with highly technical regulatory issues. Among other clients, Seth counsels food producers, importers, restaurants, trade groups, farms, and manufacturers of food packaging materials and food additives as well as manufacturers of medical devices and pharmaceuticals. FDA compliance issues such as GMP, FSMA, GRAS, LACF; California State matters including Proposition 65, CLRA, FAL and UCL; premarket submission for medical devices [510(k) and PMA] and drugs (NDA and ANDA) are just a few of the matters he assist clients with for optimal solutions. He also explores emerging markets, such as electronic nicotine delivery systems (ENDS) and industrial hemp and cannabidiol, identifying potential regulatory issues in order to guide clients in developing business and marketing strategies. Regularly advise clients on compliance and litigation involving Safe Drinking Water and Toxic Enforcement Act of 1986 (Proposition 65), which requires labeling of products containing "chemicals known to the State of California to cause cancer and birth defects or other reproductive harm." Develop Proposition 65 arguments for clients regarding preemption, threshold limits, safe harbor warning labels, testing and control of trace contaminants, and estimation of daily exposure. Routinely defend clients in claims under California's consumer protection and competition laws: Consumer Legal Remedies Act (CLRA), False Advertising Law (FAL) and Unfair Competition Law (UCL). Advise clients on drug and medical device good manufacturing practice (GMP) requirements. Counsel clients on food safety regulations under Food Safety Modernization Act (FSMA). Advise clients on low acid canned food (LACF) process registration. Assist clients in managing generally recognized as safe (GRAS) self-certification panels. Assist with software design controls of medical software and health IT products (including mobile medical devices). Conduct audits of process validation studies and food safety plans. Develop premarket regulatory strategies for drugs and medical devices. Prepare and prosecute premarket submissions for medical devices [510(k) and PMA] and drugs (NDA and ANDA). Advise clients on adverse event reporting requirements. Assist clients with digital health software matters, including requirements for design controls, mobile medical apps, exemptions for medical software, and compliance with the Health Insurance Portability and Accountability Act of 1996 (HIPAA) and the Health Information Technology for Economic and Clinical Health (HITECH) Act. Handle pharmaceutical lifecycle management and Hatch-Waxman regulatory matters. Worked on research projects and sample testing for medical devices and radiation-emitting electronic products (e.g., microwave ovens and lasers). Represented FDA on national standards organizations. Conducted regulatory inspections of foreign and domestic manufacturers, including extensive trips to China, Korea and Thailand. Worked as compliance officer preparing administrative and judicial enforcement actions on long-term assignment with Health Care Fraud Task Force of U.S. Attorney's Office for the District of Massachusetts concerning criminal violations of the Federal Food, Drug and Cosmetic Act. Review food, supplement, drug, device and cosmetic labeling. Claim substantiation for product promotional and advertising campaigns. Handle import holds of FDA regulated products. Assist clients with registration and listing of FDA-regulated facilities and businesses. Due diligence, drafting and negotiation of agreements involving FDA-regulated businesses, products and services. Manage patent term extension applications for products approved by the FDA, and state registration and licensing of drug distributors and manufacturers. Seth cooks for his family, which is something of a sport and a challenge, as menus are customized to individual allergies and palates. His pinnacle thus far was cooking through Julia Child’s 1961 classic, “Mastering the Art of French Cooking,” making various recipe substitutions and replacements, such as gluten-free flour.